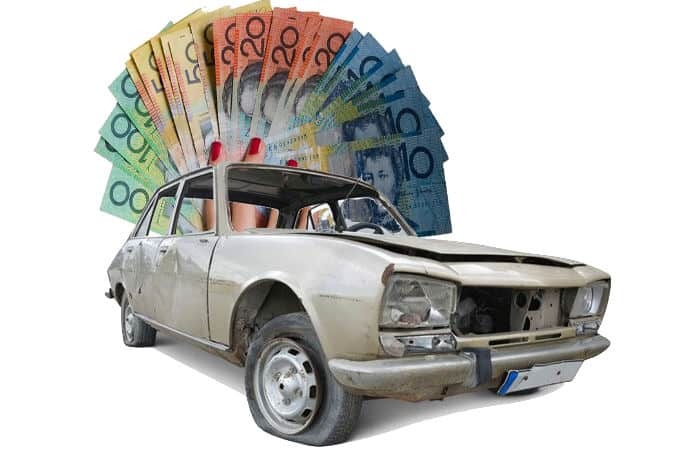 Cash For Scrap Cars Removal Newcastle Upto $9999 Call Now! One call to Elite Car Removals, and you will hear what you want to hear. SOLD! You won’t be low balled but get the actual value of your scrap auto. We buy “scrap cars” of every make and condition, putting instant cash in the hands of our customers. We specialize in scrap cars, paying up to $9999 CASH. That’s fast cash and easy, free car removals. Give us a call and we’ll make you an offer. Want To Sell Your Scrap Car For Cash? No hazards to the environment, no hassles prepping the vehicle for the auto wrecker. At Cash for Scrap Cars, we are the licensed auto buyer and wrecker that practices eco-friendly car disposals. With our services, scrap car owners don’t have the hassles and inconveniences that are associated with disposing of a scrap vehicle. We employ a team of auto specialists that are professional and knowledgeable, assisting our customers with all aspects of their vehicle disposal to ensure effortless convenience. We also employ competent appraisers that guarantee to make you an accurate quote on your vehicle. Wrecked Ford, Damaged Toyota, Salvaged Isuzu, Fire Nissan, Flooded Suzuki, Broken Honda, Accident Hyundai, etc. Whatever make, whatever condition, get a cash for scrap cars offer by calling us today! Scrap Trucks, Vans, SUVs, Utes, 4x4s, Jeeps, Buses. Any scrap vehicle, running or not, we’ll buy it. We specialise in wrecking vans, SUVs, 4x4s, Utes, Jeeps, etc. As the expert wrecker that, if we don’t know a factor of a vehicle like its weight, we have access to the information, so that we can make you the best cash offer. Our auto wreckers are the best in the business, stripping vehicles to get the best cash value for any condition of scrap car. All parts, components, and steel, will be recycled and refurbished, so you also know that your auto recycling is completed to the principles of green car recycling. Call us or submit your vehicle’s information through our “Get a Quote” form. We make you an offer on your car once we receive and review the information provided. Accept our offer and we’ll make arrangements to remove your vehicle. Our scrap car removals Newcastle mean free towing of your vehicle. Exchange our cash for cars payment and paperwork. At Elite Car Removal we are fully licensed and insured, and always have the best interest of our customers in mind. >Pays cash for scrap cars – Up to $9999 CASH. That’s instant quick cash in your hand the same day we come to remove your vehicle. Instant cash quotes – Call us over the phone or get a quote here online. Free car removals – We come to your location during business hours or after hours any day of the week, collecting your vehicle for free. Provide the paperwork – Just sign on the dotted line, and the exchange of cash for cars is legal! For a quick quote or to schedule a scrap car removal, contact us at the number below. We offer same day car removals, leaving our cash offer in your hands.